A pharmacology journal has retracted a 2011 paper after concluding images in three figures had been manipulated. According to the British Journal of Pharmacology, four of the five authors claim they played no role in the manipulation. There is no comment from the remaining author, first author Ian Morecroft, a research associate at the University of Glasgow. A group of pharmacology researchers in the UK has lost two papers after submitting effectively identical versions to different journals — and getting them accepted, of course — just a day apart. 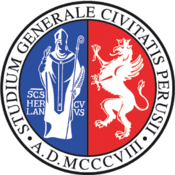 Stefano Fiorucci, a gastroenterology researcher at the University of Perugia in Italy, has been indicted for fraud and embezzlement, after a university investigation found that he had manipulated images in papers that he used to win about 2 million Euros in grant funding. The case, which has so far resulted in four retractions and nine Expressions of Concern, has dragged on for several years. The trial is scheduled for July. It’s the first time that embezzlement charges have been brought against a scientist found to have committed fraud, according to reports in Umbria 24 and the Umbria Journal.